Maeshowe is the finest chambered tomb in north-west Europe and more than 5000 years old. It was broken into in the mid-twelfth century by Viking crusaders who carved graffiti runes on the walls of the main chamber. This entrance passage is 36 feet (11 m) long and leads to the central almost square chamber measuring about 15 feet (4.6 m) on each side. 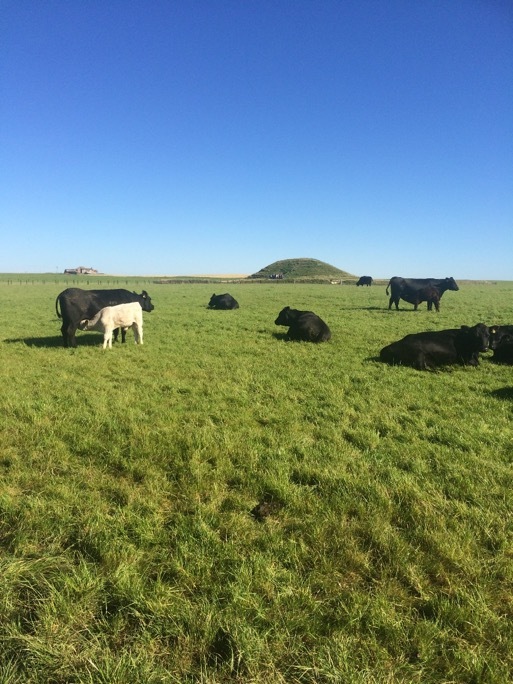 To enter Maeshowe you need to be able to crouch low for the 11 meter entrance. 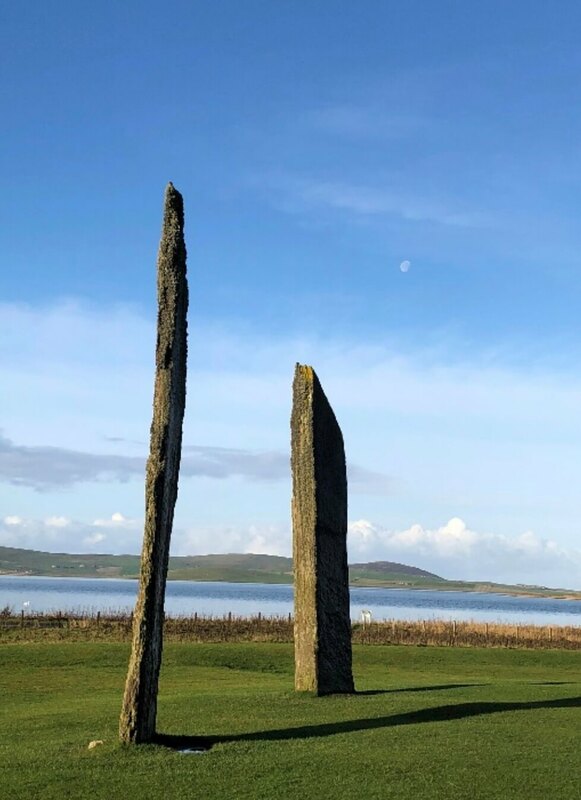 The Standing Stones of Stenness are older than The Ring of Brodgar and the stones taller. The diameter of this ring is 44 metres and only four of the original twelve stones are still in place. 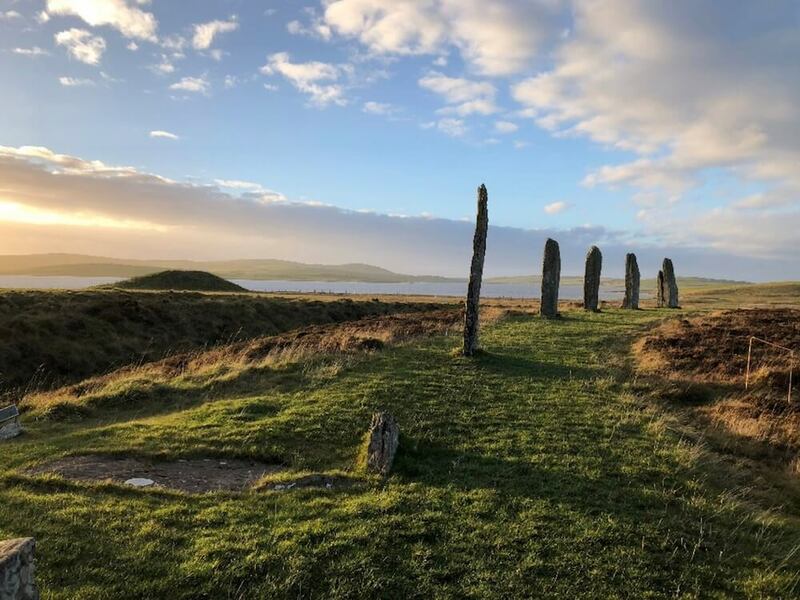 It is also thought to be one of the oldest stone circles in Britain. A tidal island off the north coast of the Orkney mainland, the Brough of Birsay was intensively settled from the 7th to the 13th centuries AD. The remains of a 9th-century Viking-Age settlement, 12th-century monastery, together with traces of an earlier Pictish settlement of the 7th and 8th centuries. 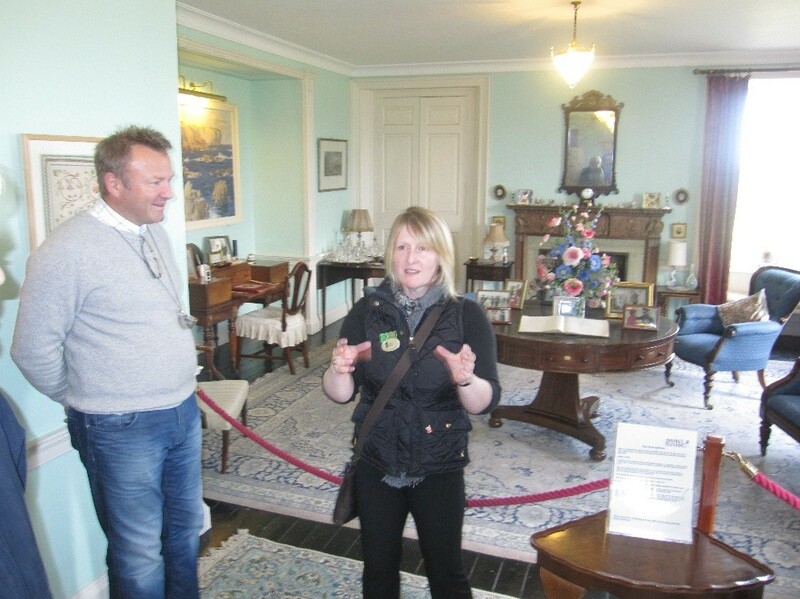 The Island also offers fantastic scenery, a lighthouse and the possibility of seeing puffins. Until the summer of 1929, the site of the Broch o' Gurness was nothing more than a massive, grassy mound by the shore. 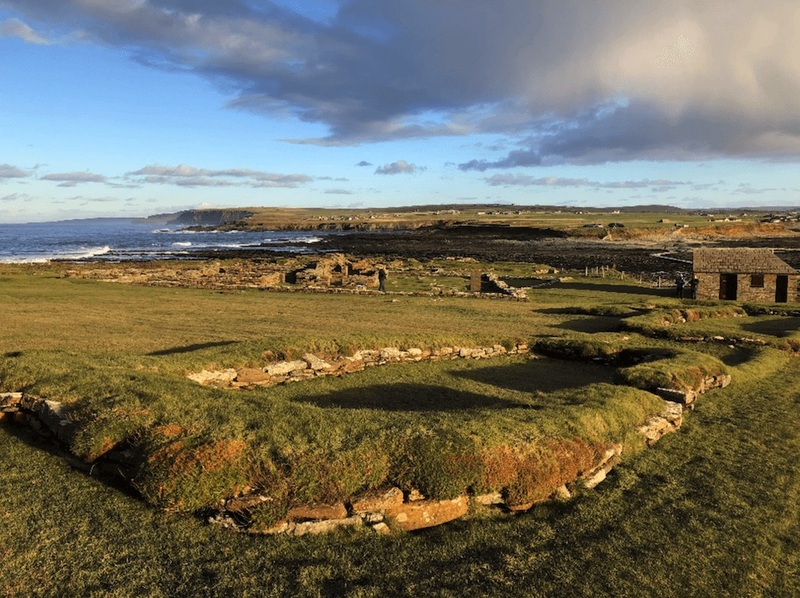 The remains of the Broch were discovered by Robert Rendall, an Orcadian poet and antiquarian. 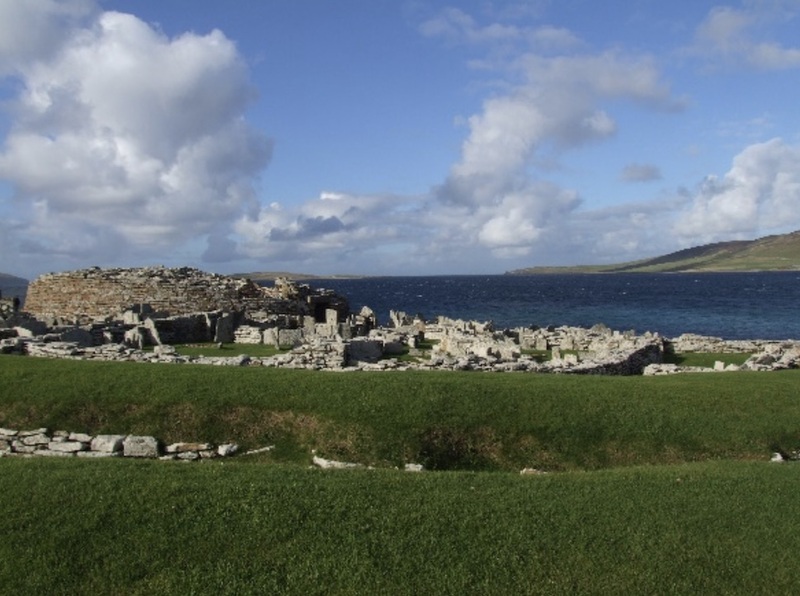 Many ancient sites in Orkney have been found by accident and this was no exception. 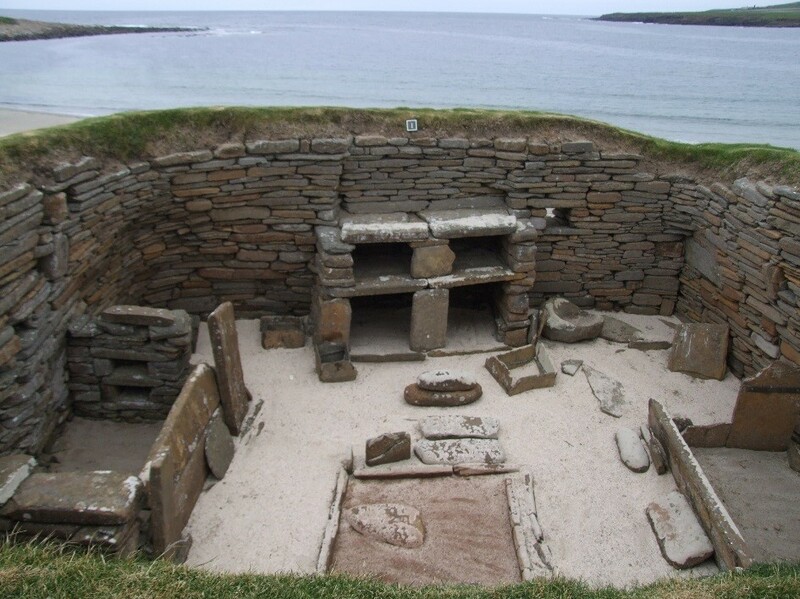 The Broch is thought to have been built between 200BC and 100BC. Standing about 8 metres high and an internal diameter of 20 metres. A tall easily defended tower surrounded by a series of smaller dwellings and circled by three ramparts and three ditches.